to meet your laboratory and food safety needs! 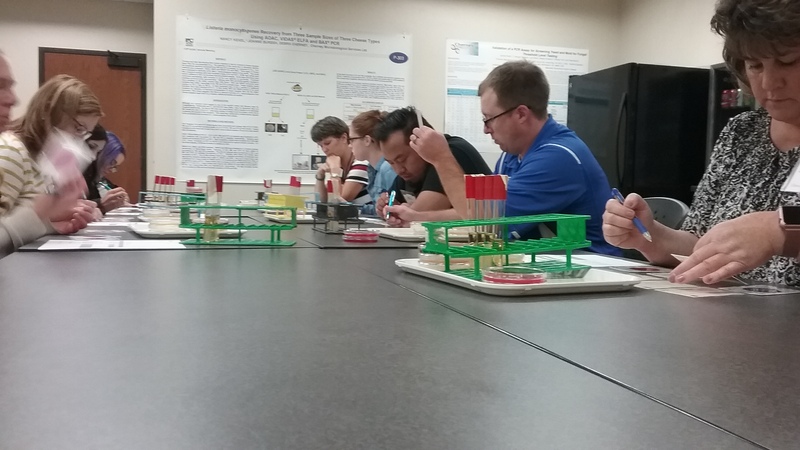 Courses may be presented at your location or hosted at Cherney Microbiological Services, Ltd.
training@cherneymicro.com or call 920-406-8300 for questions and to schedule your training. Like and follow our Facebook and LinkedIn pages for exclusive information and offers! Since then, Cherney College has continued to expand, offering courses that meet the needs of the industry and address current trends and challenges. Matthew Fenske has over 6 years of laboratory, quality and management experience in a variety of food safety roles. As Cherney’s Training Manager, Matthew leads Cherney College’s Training Programs and also works with customers both internally and externally in troubleshooting and consulting opportunities. He has spent 3 years in a feed and forage analytical laboratory (wet chemistry) setting and also 2 years in quality assurance for one of the world’s largest food manufactures. Matt joined Cherney’s team in May 2017 and since has become PQCI trained for both Human and Animal Food. Allison Empey has over 15 years of laboratory, management and food safety experience. Allison has been with Cherney for 12 years, holding numerous roles in laboratory operations. As Cherney’s Green Bay Laboratory Leader, Allison oversees day to day operations, technical competence and quality performance for all aspects of the laboratory. Allison is a certified Food Safety HACCP Manager and has a BS in Human Biology. Joanne Ruebl has over 16 years of laboratory, management, quality and food safety experience. Joanne has been with Cherney for 15 years, holding numerous roles in laboratory operations. As Cherney’s Technical Support Microbiologist, Joanne provides technical expertise, consulting and training to both internal and external customers. Joanne is an FSPCA Lead Instructor for Preventive Controls for Human Food, a certified Food Safety HACCP Manager, and has an MS in Organizational Leadership and Quality. For the Environmental Monitoring and Sanitation Essentials Course, Cherney’s trainers are joined by sanitation expert Scott Sprangers. With over 40 years of experience in the food industry, Scott has been involved in all aspects of plant sanitation and chemical supply, is a certified trainer, and taught courses at the University of Wisconsin and to major food manufacturers.